Weaned on news of his grandparents’ country hotel and the story of Eloise’s life at The Plaza Hotel as his favourite childhood read, South Africa’s Brian Berkman has hotels and travel writing in his blood. 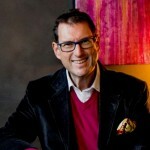 He writes frequently about travel for South African airline and lifestyle magazines, has contributed South African chapters to Fodor’s, and is a Contributing Travel Editor for www.BizCommunity.com and Explore South Africa magazine. Over the past 25 years, he has assisted PR clients, from theatre personalities to fresh-fruit marketers, with their communications.